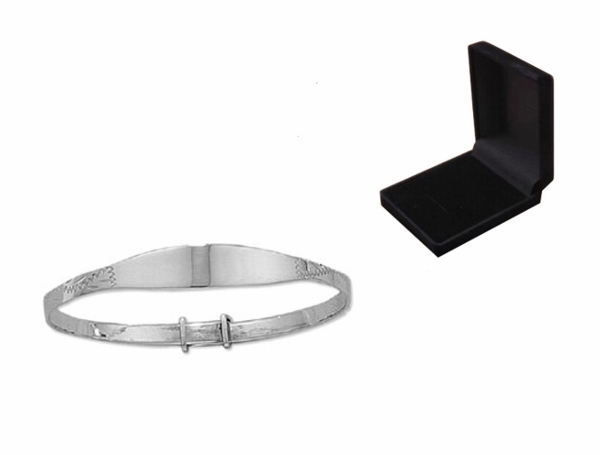 Engraved Stirling Silver (.925) Children's/Baby ID Bangle complete with black gift box. The engraving will be on the front part of the bangle, we can engrave a name only as the engraving area is small. It has a zigzag pattern around the whole of the bangle apart from the front where the engraving will be. The diameter of the bangle is 50mm. Perfect Christening and New Born present.